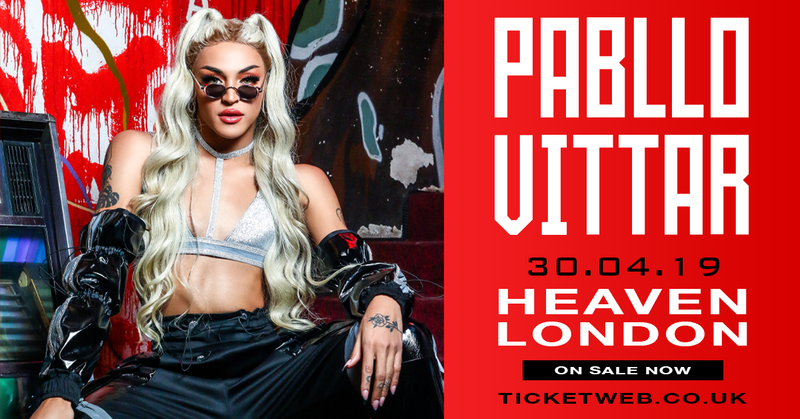 Brazil’s newest pop sensation and most famous drag queen Pabllo Vittar comes to London and the UK for the very first time bringing her NPN tour to Heaven on Tuesday 30th April. Tickets go on sale Wednesday 13 February at 10am. 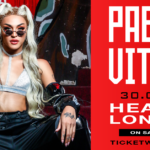 First appearing as Pabllo Vittar on TV in 2014, it was 2015 that she started to get attention on social media, after releasing ‘Open Bar’ a Brazilian version of Major Lazer’s ‘Lean On’. In less than a month the video had amassed over a million views on YouTube. Already a superstar within the LGBTQ community, Pabllo began gaining mainstream attention in early 2017, when she released her first album ‘Vai Passar Mal’ which included Brazilian hits ‘K.O.’ and ‘Corpo Sensual’. The success continued, she sang with Fergie at Rock in Rio and released ‘Sua Cara’, another track with Major Lazer, and Anitta. She broke records and became the first Brazilian artist to have three songs in Spotify’s Top 5 and in 2018, her second album ‘Não Para Não’ was the most streamed album in the first 24 hours, with more than 3 million plays.